Cecilia Tortajada & Asit K Biswas: Can India feed 1.7 billion people by 2050? Asit K Biswas & Cecilia Tortajada: Delhi's water supply - Going, going, gone? By current estimates, India’s total population will be similar to China’s by 2028, 1.45 billion. By 2050, India’s population is expected to reach 1.7 billion, which will then be equivalent to nearly that of China and the US combined. A fundamental question then is can India feed 1.7 billion people properly? Let us review the current situation. According to the Global Hunger Index (GHI) for 2013, India ranks 63, out of the 78 worst countries in terms of hunger. Other South Asian countries fare much better: Sri Lanka (43), Nepal (49), Pakistan (57) and Bangladesh (58). This is in spite of the fact that India has shown considerable improvement from 1990 when its GHI was 32.6, to 2013 when it improved to 21.3. The latest estimates by the Food and Agricultural Organisation indicate that 17 per cent of the Indian population is undernourished to lead a productive life. In fact, India alone accounts for 25 per cent of undernourished people of the world, more than in entire Sub-Saharan Africa. If the food availability is so bad now, what is likely to be the situation in 2050 when India will have an additional 430 million mouths to feed? Let us consider the facts. Farm outputs in India in recent years have been setting new records. It has gone up from 208 million tonnes (mt) in 2005-06 to an estimated 263 mt in 2013-14. Even accounting for population growth during this period, the country would need probably around 225 to 230 mt to feed its people. Thus, food production is not a real issue to reduce India’s hunger problem. India is producing enough food to feed its people. A major problem that the policymakers have consistently ignored in the past is the simple fact that a significant percentage of food produced never reaches the consumers for various reasons. Sharad Pawar, former minister of agriculture, noted that India is wasting Rs 50,000 crore of food products each year, that is, nearly 40 per cent of total production in terms of value. The above wastage figure does not give the correct picture since it is in terms of only economic costs. For example, meat accounts for about four per cent of food wastage but accounts for 20 per cent of the wastage costs. In contrast, fruit and vegetable losses run to 70 per cent, but account for about 40 per cent of economic costs. In food loss terms, India is the world’s champion. It wastes more food than China. India is the world’s largest producer of milk and the second largest producer of fruits and vegetables after China. High wastage rates are often responsible for doubling of fruits and vegetables prices, and the cost of milk is 50 per cent higher. 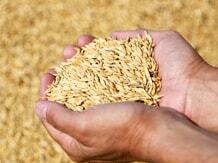 It is not only perishable food that is wasted but also staple grains such as wheat and rice. It is estimated that each year around 21 mt of wheat, equivalent to the entire production of Australia, rots or is eaten by insects because of inappropriate storage and inadequate management practices of the government-run Food Corporation of India (FCI). These high wastage rates are an important contributor to high food prices. For example, year-to-year rise in food price inflation between 2008-09 and 2013-14 has been consistently above 10 per cent, except for 2010-11 when it was “only” 6.2 per cent. Food price inflation is an important issue for the poor since food accounts for 31 per cent of their average monthly household expenditure. For perishable food, the major reasons for wastage have been the absence of modern supply chains that can efficiently take the food grown by farmers to consumers, lack of investments in cold storages and refrigerated trucks, poor transportation facilities, erratic electricity supply and appropriate policies, which can incentivise the private sector to invest in downstream supply chains. The Indian Institute of Management in Kolkata has estimated that cold storage facilities are available only for about 10 per cent perishable food products. The country needs cold storage facilities for another 370 mt of perishable products. For cereals such as wheat and rice, FCI was set up in 1964 primarily to facilitate price support systems, distribution of food grains over the country and maintain buffer stocks. Mismanagement, poor oversight and rampant corruption have made this institution a part of the problem rather than a solution. Former Food Minister K V Thomas described FCI as a “white elephant” that needs to be revamped “from top to bottom.” The Government of India now spends nearly one per cent of gross domestic product for an inefficient food distribution system. Sadly, progress in transforming FCI has been minimal. In terms of ensuring food security in India, the main focus of the government has been to increase production, without considering the fact that nearly 33 to 50 per cent of all food produced will continue to be lost. If India is to ensure that its 1.7 billion people will have access to enough nutritious food by 2050, a major emphasis has to be to reduce the current level of food wastage by various means to an acceptable level. The country simply does not have enough arable land, irrigation water and energy supplies to ensure higher levels of food production in the coming years. India’s future hunger problem can be solved if the country seriously looks for alternatives, which it is not properly considering at the moment. When 35 to 40 per cent of food produced in the country is not consumed, limiting its wastage has to be a priority consideration for the Modi government.